Donald Trump is tapping Gen. James Mattis for defense secretary, the president-elect announced at his Thursday rally in Cincinnati, Ohio. “We are going to appoint ‘Mad Dog’ Mattis as our secretary of defense,” Mr. Trump told a raucous crowd at the U.S. Bank Arena, in his first post-election rally. During what was billed as his “Thank You” victory tour, Mr. Trump said of the pick that he wanted to “save the suspense for next week.” He said he will formally announce it Monday. The retired general also opposes waterboarding, a torture technique that Mr. Trump has promised he would legalize in the fight against ISIS. Last week, the president-elect expressed surprise at Mattis’ position on enhanced interrogation. Mattis, sometimes nicknamed “Mad Dog” in Marine circles, is widely known for his blunt style of speaking. In an interview that will air Sunday, former Defense Secretary Leon Panetta told “Face the Nation” anchor John Dickerson that he likes Mattis “a lot.” But one of the key things he feels Mattis should be pressed on during his confirmation hearing is the civilian perspective. The frank general, however, could face a legal roadblock to his senate confirmation. 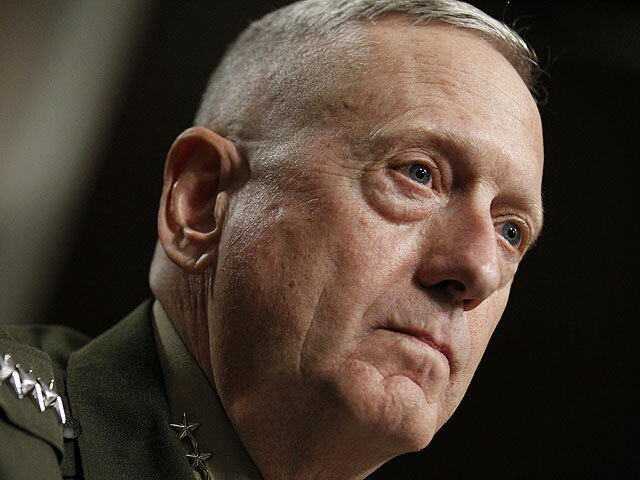 The law specifically prohibits a person from serving as chief of the Defense Department “within seven years after relief from active duty as a commissioned officer of a regular component of an armed force.” Mattis retired in 2013. The Trump administration will have to seek a congressional waiver for the appointment, allowing Mattis to serve. That exception has been sought just once since 1947, when the defense secretary position was first established. Sen. Kirsten Gillibrand, D-New York, who serves on the committee with jurisdiction over his nomination, Senate Armed Services, says that she’ll oppose the waiver. Mattis replaced Gen. David Petraeus as head of Centcom in 2010, overseeing U.S. military operations in Afghanistan and Pakistan, as well as across the Middle East, including Iraq and Iran. He also served as the head of U.S. Joint Forces Command. CBS News’ Nicole Sganga contributed to this report.